- Clean, 100% editable PSD file. - All elements are vector shapes even the tables and carpet. - 52 + 9 Vector shape cards. 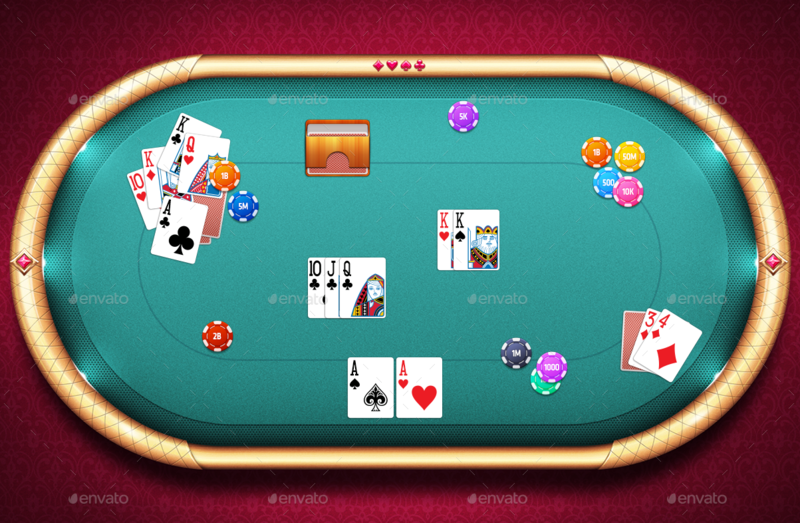 - 12 vector shape chips – 2 style of coin. 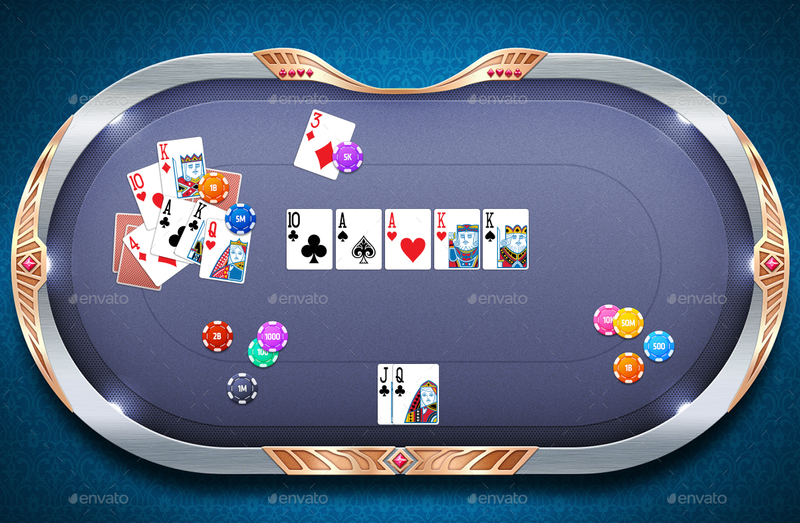 - 2 style of tables with 4 colour for each. 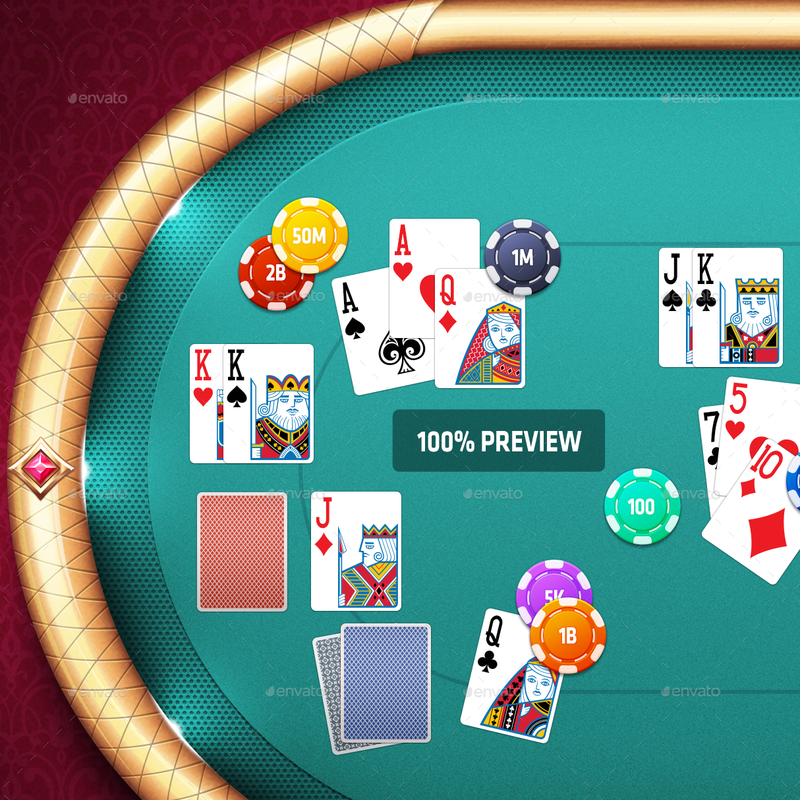 Perfect for Casino Card games like Poker, Black Jack, Solitaire etc.